This year, summer on the northern hemisphere ends at 16.49 hrs, september 22nd. So that leaves us an ENTIRE WEEK to release the Platex summer hit ‘Just won’t say’ by indierockers Mansell! Right on time! Spot on! 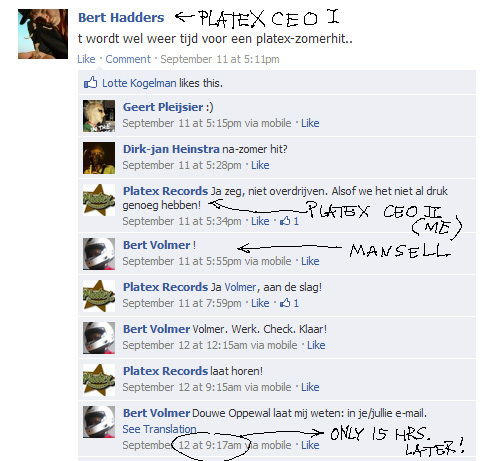 Just about a week ago Platex Records’ co-CEO Bert Hadders was complaining about the lack of a Platex summer hit on our facebook page. Mansell was quick to react, and the next day this song was in the mail! Including a sleeve design!! How’s that for being superefficient and hyperprofessional, heh? That’s it. I’m squeezing my fat arse in my speedo trunks and I’m off to the beach. This song is not leaving my mp3-player ever again. 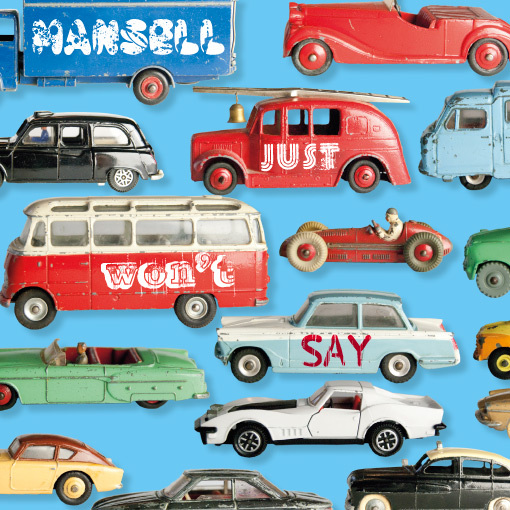 Btw, Mansell have also just recorded an awesome, temperamental full-length album that you can listen to on their website: http://www.mansellmusic.nl, and you can also buy it ridiculously cheap -5 euros- at bandcamp: http://mansell.bandcamp.com/album/mansell. But what you really want to do is go to your record store and buy the real thing, because it comes with the coolest cd package evah! This entry was posted on September 16 2012 by ̸̬̬̦̦̖̤̾ͥTƯ͖͈̓͗̌̊ͫP̴̟͇̜̩̱̄͞ ̧͚̙͓͔̭̉̍ͭ͌̋͆̎ ̤̭̑ͧ̐F̵̢̧̹̥̹̪̲ͭƯ͖͈̓͗̌̊ͫ ̤̭̑ͧ̐Ċ͇̝̗ͤKƯ͖͈̓͗̌̊ͫP̴̟͇̜̩̱̄͞S ̆̽̆ͭ͂҉̼̝͍̜̫̜-. It was filed under Geen categorie . Mansell just added at least four weeks to the summer of 2012! We’re hoping for a little more than four: got a nice (outdoor) gig lined up for october. Fingers crossed!